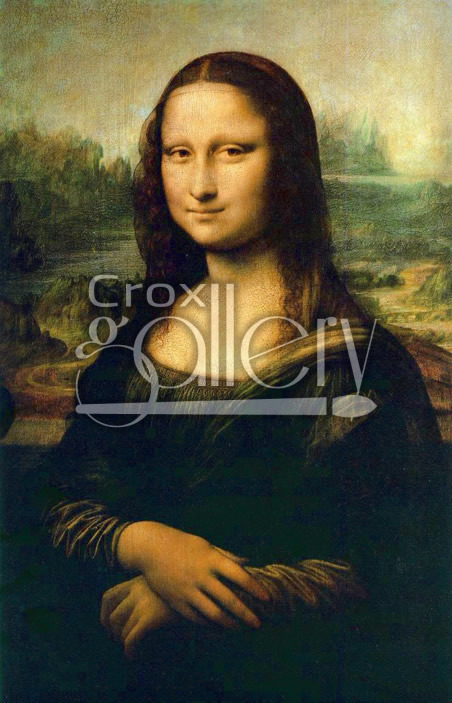 "The Mona Lisa" by Leonardo da Vinci, La Gioconda Painting Replica. 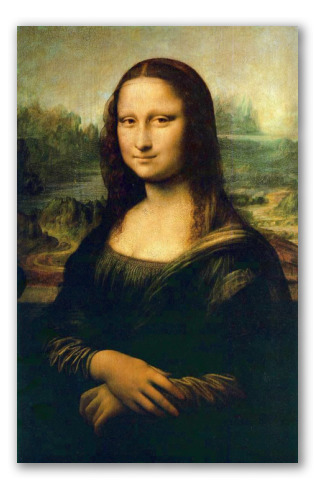 The Mona Lisa is the most closely guarded painting in the world, and is currently at the Louvre Museum, Paris. It can be viewed in an air-tight, transparent box kept at a specially controlled temperature and pressure. The museum has recently set up a special room for its display. The masterpiece by Leonardo da Vinci is also known as La Giaconda.